Transport workers want a 2.57 per cent hike, but the government has agreed for a 2.44 per cent raise. 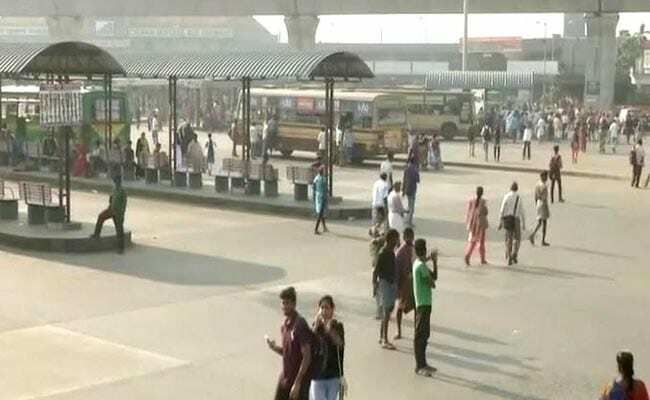 Tamil Nadu: As the strike by state transport workers demanding a pay hike in Tamil Nadu entered its fourth day, sources in the government told NDTV that 71 per cent buses have resumed operations. After most workers defied the Madras High Court order directing them to report for work or face consequences, the government roped in 4,578 drivers and 3,496 conductors on a temporary basis to put its fleet of 22,000 buses back on track, a senior officer said. However, in Chennai where the local bus transport is monopolised by the state-owned corporation, only 58 per cent buses were back. There are about 1.4 lakh workers in the state's transport department to handle a fleet of 22,500 buses. Transport workers are demanding salaries on par with drivers in other state government corporations. The unions want a 2.57 per cent hike, but the government, after 23 rounds of talks, has agreed for a 2.44 per cent raise. The state transport minister has ruled out further negotiations citing huge losses incurred by government transport corporations. The officer added, "We incur a loss of Rs 9 crore every day as we've not hiked tariff for years. We offer the cheapest travel compared to neighbouring states. The hike we've offered alone will cost an additional Rs 1,000 crore a year." As over two crore commuters who use the bus services in the state have been suffering on account of the strike, opposition leader MK Stalin and actor Kamal Hassan have asked Chief Minister Edappadi Palaniswami to hold talks with the unions . However, the chief minister asked Mr Stalin to advise opposition-backed transport unions to resume work. N Deepa, an IT professional, said transport workers' demands are valid, but being an essential service they can't go on strike unannounced. Commuters are being forced to pay more for autorickshaws and cabs. P Vellamal, a private school teacher, said, "The government should have anticipated this and have hired temporary workers instead of allowing the situation to escalate." 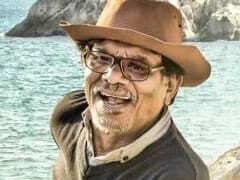 Soundararajan, a union leader, said, "We apologise to commuters. We hope they would understand our plight. The government has pushed us to this. We are not responsible for the losses."